Summary: The Mason Inlet Relocation Project impacted 1.9 acres of wetlands requiring mitigation to offset these impacts. Ms. Erickson, as the Project’s Engineer-of-Record, was responsible for the development of the design of the mitigation of a spoil island restoration project in coordination with the U.S. Army Corps of Engineers and the State of North Carolina. 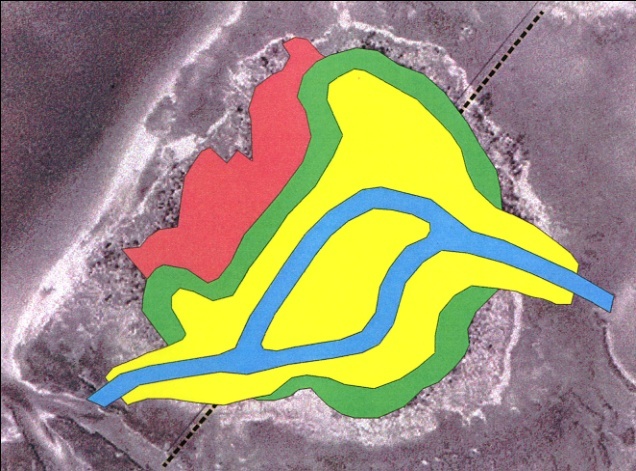 This project provided a unique opportunity to improve a spoil island comprised of a significant mix of sediments. 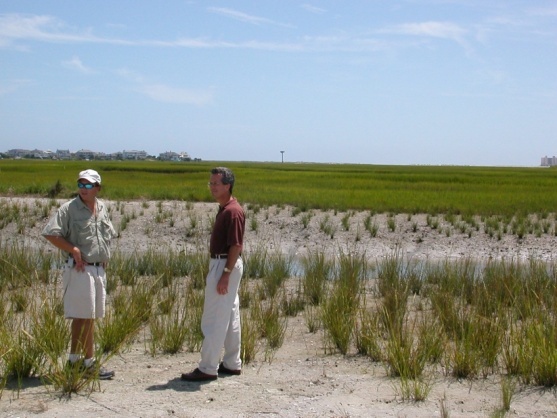 Development of alternative plans was conducted to restore a 10.7 acre spoil island located along the ICW in New Hanover County for restoration of wetlands and mitigation associated with the relocation of Mason Inlet. This 12+ ft spoil island site was investigated to determine the sub-areas which were comprised of sediments that were suitable for beach placement and creation of interior flushing channels. Sub-areas that contained less desirable fine sediments were moved to create upland to eliminate offsite disposal. Vegetation for removal and clearing included extensive exotics as well as debris. 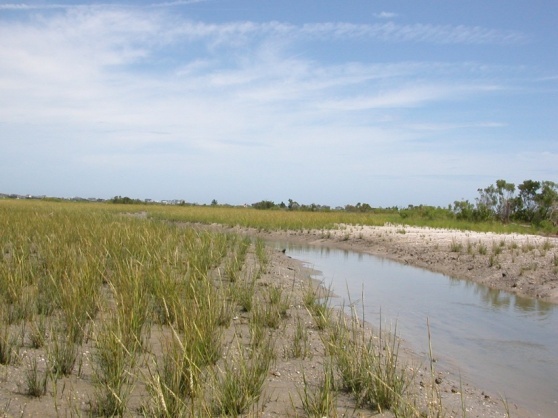 Wetlands and channels are shown below including plantings of spartina marsh approximately one year after initial construction. Challenges: Extensive core boring and sediment strata mapping was required to design the excavation areas to maximize high-quality sediment for beach placement and negotiate transfer of USACE easements and lands to the County for restoration. Schedule/Budget: The project budget and schedule were maintained, and the community deemed the project a success.